It has been years since your acne was really bad, but you are reminded of those days every time you see the scars. Or, if you’re like some people, you still have an acne problem and are worried about scarring. By using any of the following 6 acne scar remedies you can prevent scars or reduce the ones you already have. The best way to get rid of acne scars is to prevent them from forming. And the best way to do that is to leave pimples alone. Do not pick or pop them! The following acne scar remedies can also be used to prevent acne scars. Tea Tree Oil is a popular ingredient in acne cures for a reason. It eliminates acne by unclogging pores and killing bacteria, but tea tree oil can also reduce acne scars. Before it was used in acne cures, tea tree oil was used to heal cuts, burns, and infections. It has been proven for safety and effectiveness, which makes it one of the best acne scar remedies. Vitamin A is known for repairing skin and promoting skin cell growth; both of which prevent scarring. Vitamin A also fights infections so that acne breakouts and the likelihood of scarring are reduced. One major cause of acne scarring is inflammation. 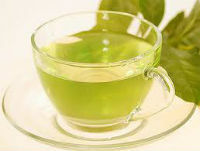 Green Tea is a powerful antioxidant with incredible anti-inflammatory properties. It prevents acne from forming and strengthens your skin so that scars are less like to form. Skin lightening creams have ingredients that reduce the skin discoloration caused by scarring. You can purchase these creams over the counter or through a prescription. Since skin lightening creams use strong chemicals, you should talk to your doctor or a dermatologist before using one to make sure it won’t damage or irritate your skin. Microdermabrasion treatment removes fine layers of skin from your face and stimulates new cell growth. Some methods use a sandblaster-like machine and others use a rotating wire brush. Microdermabrasion treatments must be done by a professional and usually more than once. It takes anywhere between 10 days to 3 weeks for your skin to heal after the treatment but it should reduce acne scars. A gentler, less expensive way to promote new cell growth is through exfoliation. This process sloughs off damaged and scarred skin layers. You can use chemical exfoliants or a specialized facial scrub to get the job done. This remedy is not as effective as microdermabrasion treatments, but it still has some benefits. You may need to exfoliate daily for a few weeks to see improvements. Looking in the mirror shouldn’t be a painful experience. Try any of these acne remedies until you find one that works for you. In no time, your scars will be lessened or eliminated, and you’ll have smooth, healthy skin that is worth being proud of. Comments on "6 Acne Scar Remedies That Work"
Leave a Comment about 6 Acne Scar Remedies That Work here.